That’s what Cincinnati City Council Member Charles Winburn threatened gang members and violent criminals with at Monday morning’s meeting of the Law and Public Safety Committee of City Council. At the meeting, Cincinnati Police Chief Eliot Isaac presented a new crime reduction strategy called PIVOT (Place-Based Investigations of Violent Offender Territories), which will use data-driven evidence to identify violent locations in the city and disrupt the networks of people who use those locations to perpetuate crime. Cincinnati Police Capt. Maris Herold said violent crime often clusters around particular addresses in the city, rather than being neighborhood-wide. This strategy will map out the addresses and networks between those locations where criminals feel comfortable and safe engaging in drug-related or other illicit behavior. 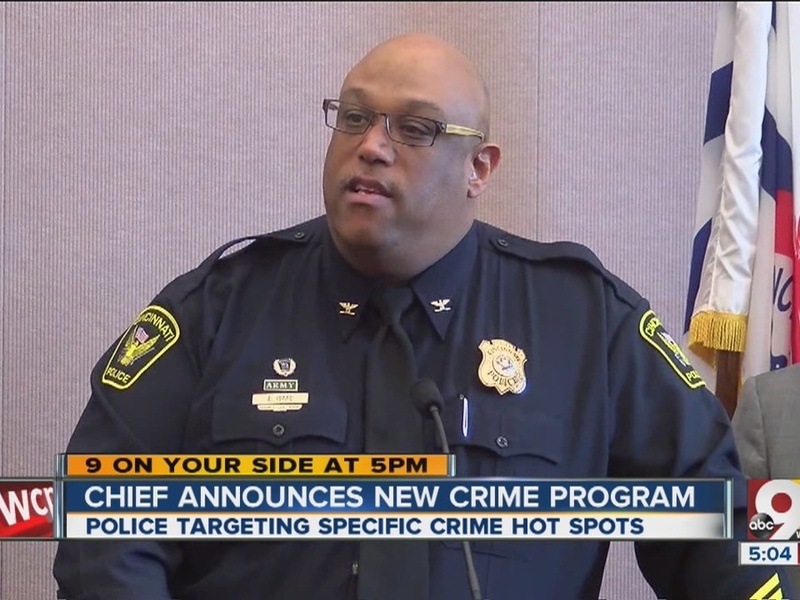 “There are certain businesses and locations that are facilitating the crime in these areas, and if we don’t understand that, we miss the connection points to prevent and mitigate violent crime,” Herold said. “The more of those places that you identify through intelligence and the more of those places that you disrupt, the longer that disruption will last. Isaac noted gas stations as a common spot for gang or criminal activity and said the police force would “tap into any resource (it) can” to remediate those properties and hold the businesses accountable if they are encouraging violent crime. Both Isaac and Herold said community engagement is the linchpin of this plan. “I want to understand what the community feels about these hotspots,” Herold said, noting they will collect community data and survey information by the end of February. Undercover police will be used to understand what exactly is going on in these locations once they’re identified. “What’s unique about this is that the city has done place-based efforts, but this time we’re actually approaching them as criminal investigations,” Isaac added. He explained that detectives with investigative experience will be assigned to this unit so officers wouldn’t be taken from their beats on the streets. City Manager Harry Black did not give exact targets for the program, but he said the aggressive target is to work toward hitting the numbers for nonviolent crime that Cincinnati hit in 2014, which marked a 10-year low in nonviolent crime. Cincinnati saw 492 shooting incidents citywide in 2015, up from 383 the year prior. That’s nearly a 30 percent jump. Seventy-one (roughly 14 percent) of those shootings in 2015 were homicides, according to Isaac’s 2015 annual crime report . “Violent crime is very dynamic, and we have to be dynamic in terms of our strategies and tactics,” Black said. In one city neighborhood -- Westwood -- shootings tripled in 2015, going from 15 the year before to 46. Several groups, including Cincinnati Works, held an anti-violence rally Monday afternoon at an apartment complex parking lot where Malone Amason, 27, was killed last week. Richard Crouse, who owns a gas station and food mart on Harrison Avenue in Westwood, described hotspots as being like a "smoldering pot just waiting to explode." "They get in groups, and a fight could break off in the smallest of things ... 'cause they don't have a whole lot, so what they do have means a lot more to them than to you or I, and it's a scary scenario," he said. Later Monday, at a community meeting about violent crime in Westwood Town Hall, Carlnetta Flagg-Miles spoke out about her son who was killed. She said she believes not only do neighborhoods need a focus on problems, but also a focus on investments -- like the kinds that have led to a renaissance in Over-the-Rhine. "If they take the time and money to also invest in these other communities, the crime rate will also go down," she said. Others, like Rodney Christian, echoed the sentiment of many at last week's community meeting in Evanston: the city's youth need an investment, too. "You better start searching for them -- a citywide search for youth leaders, positive youth leaders. 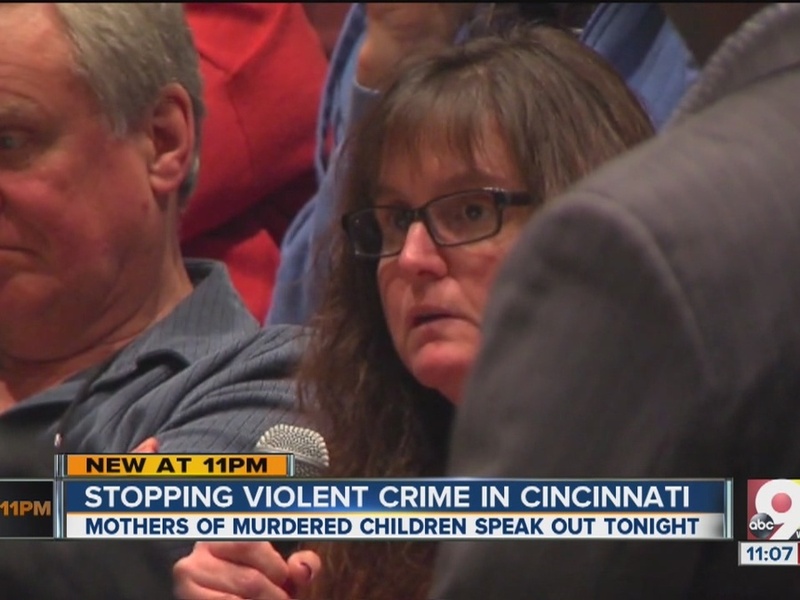 Search for them," he urged Isaac and Mayor John Cranley. For more details on the city’s plan to cut back on violent crime, see the city website .